Looping Introduction yoyo trick video. 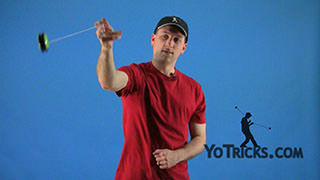 Looping Introduction Yoyo TrickOnce you get your Forward Toss down, you’re ready to start looping with the yoyo. It’s really important, when you start looping, to have a yoyo that is very responsive, that comes back right away when it get’s to the end of the string (like a well lubed Dominator). 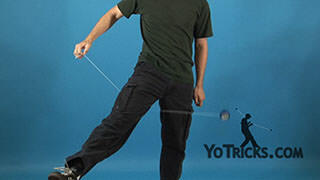 If the yoyo hesitates too much when it gets to the end of the string it’s going to make the tricks very difficult to learn. Looping, while it is a very simple motion, it actually takes a really long time to learn, so you want to get rid of as many frustrations as possible so you can just focus on learning the trick. You basic loop is actually going to be done on the inside of your wrist; just like this. 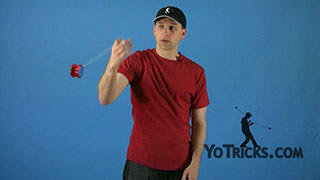 If you watch where the yoyo is passing, it’s actually passing on the inside. A secondary loop would be to do it on the outside of your wrist. 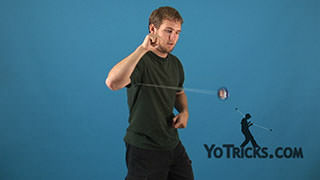 A lot of times when I teach people how to do it they get a little bit nervous that the yoyo is going to hit them when they do the inside loop so they just have a tendency to want to work on the outside. That’s fine, but what you’ll find is that the inside loop gives you a lot more control, it will be a lot easier to learn, at first, and it won’t be quite as frustrating to get multiple loops as it will with the looping on the outside of your wrist. Either way, eventually you will want to learn how to do both of them. 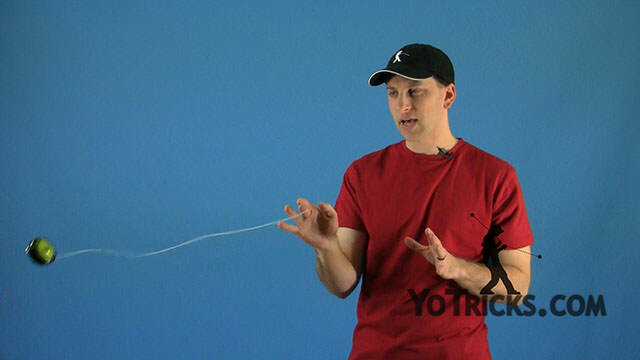 The other thing that you will come across when you are learning how to loop is every time you loop the yoyo the yoyo actually flips over one time, which means that the string is either getting tighter or looser. It’s important to know, when you are doing a certain type of loop if the string is getting looser or tighter. If you are doing your basic inside loop and you are right-handed, like I am, then the string is going to be getting half a turn looser every time. If you are doing hundreds of loops the string is going to get really loose. 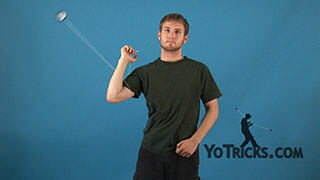 What’s interesting is that if you do it on the outside of your wrist the yoyo flips over the opposite way and it makes the string tighter. If you want to practice them both together you can do a couple of inside loops then do a couple of outside loops. 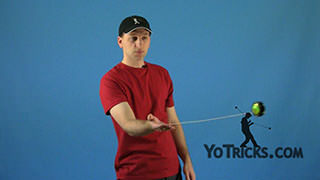 You can even practice alternating them like this, then you’ll find that you won’t have quite as much of a problem with the string getting tighter or looser. If you’re left-handed everything is the opposite. When you are doing your basic inside loop then the string is going to be getting tighter; if you’re doing your outside loop it is going to be getting looser. That’s just one of those things that you are going to have to learn to deal with when you learn how to loop. Like I said it takes a long time to learn how to loop properly, and even though the motion is very simple and repetitive it takes a lot of fine motor skills in this part of your hand and in your arms to get it just perfect. Don’t give up, just keep working on it, and eventually you will find yourself doing two and three loops in a row, and all of a sudden you will be getting six and seven, you’ll be getting eleven and twelve, twenty, thirty, and, eventually, you will be able to do as many loops as you could ever want to before the string gets so loose or so tight that it won’t even move anymore. 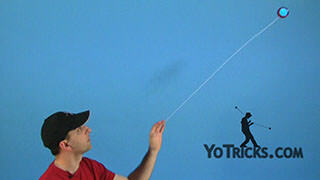 Your basic motion, it starts off with a forward toss, so make sure you have that trick down really well. 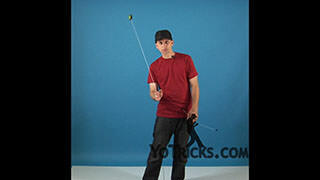 When the yoyo gets right to about here what you’re gonna do is you’re going to bend your wrist backwards and you are going to throw the yoyo out again. 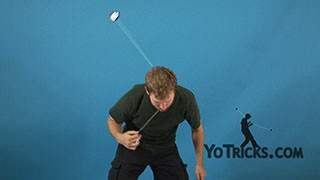 The timing on this trick is very important, and the motion is very important. What you find for your inside loop is that I barely even move my elbow or my shoulder at all. Just about all of the motion is out of my wrist. But for your outside loops it actually takes just a little bit more control from the rest of your arm to get it just perfect. Again, the only way to perfect these skills is to just keep working on them, keep persevering, don’t give up. The more you practice, the better you’ll get. 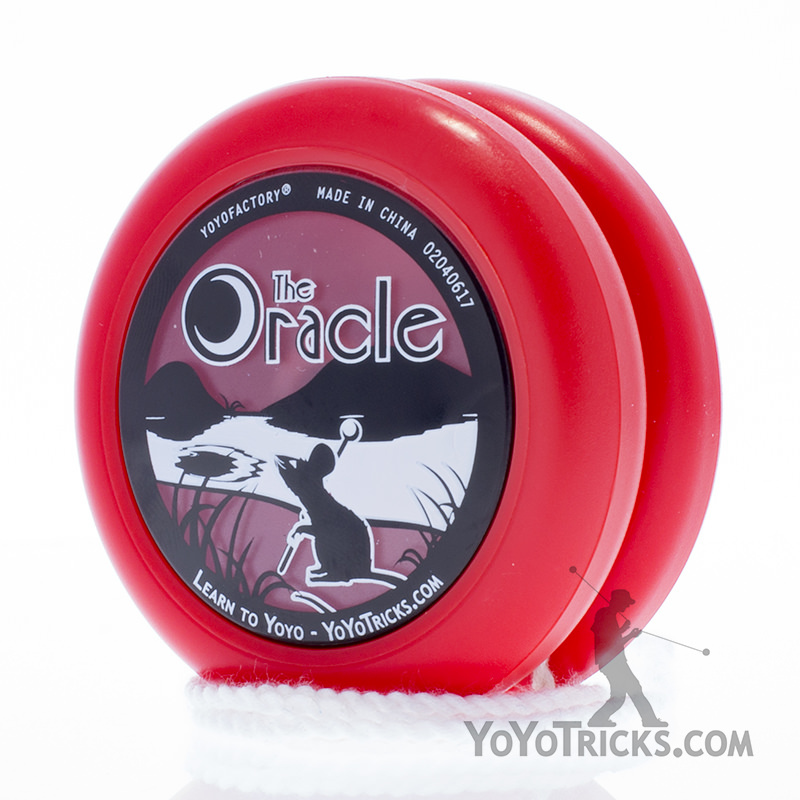 Make sure you’ve got a good solid yoyo to help you through it. And you will be there after quite a bit of practice, but you will get there. 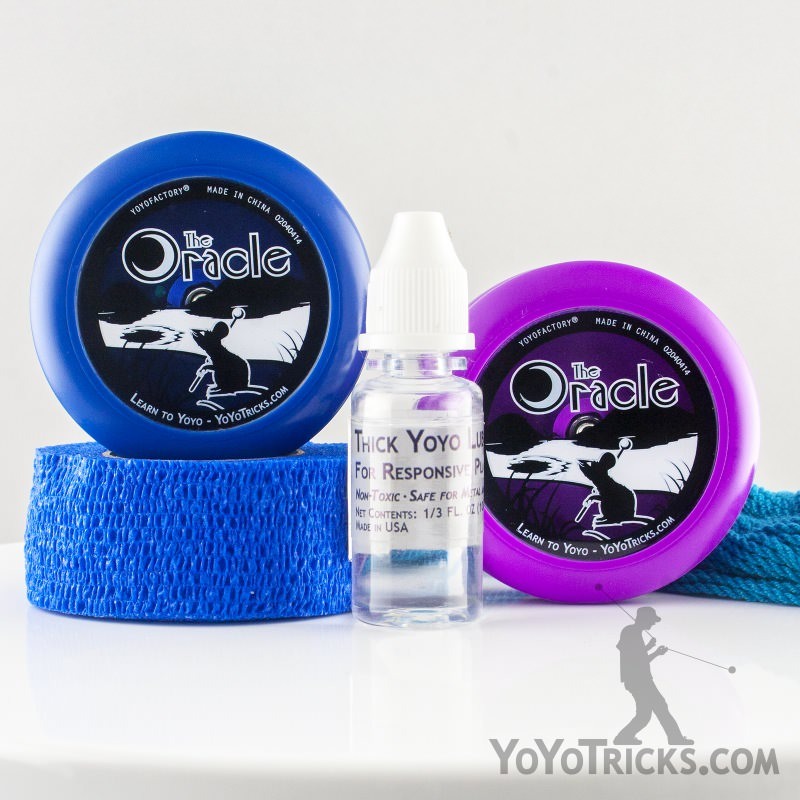 One of the things that will help you out while your looping is to always make sure that the yoyo is tilted just a little bit to the outside. You’ll notice on my loops that the yoyo is tilted, I don’t know, thirty to forty-five degrees to the right. That’s because I am right-handed. On your left hand you will want it to be the same. And that is true of both your inside loop and your outside loop. And, for whatever reason, that helps you get just a little bit more control. So, as you are learning the tricks, you want to make sure to look for that angle, if you’re hitting it just right that means that you’re doing the tricks right. If it’s straight up and down, or in the opposite direction you want to make sure that you adjust your wrist or adjust how you are doing it to make sure that you are getting that right angle because that will help the trick work a lot more smoothly for you.